No Up-Front Fees - We Bill Insurance Company At Fault. We Will Assist You With Your Case. Don't Let Your Injuries Worsen. Helping People Recover For Over 60 Years. Erese Chiropractic Center offers you all types of chiropractic care for a variety of injuries. Get in touch with our locally owned and operated practice today at (704) 636-0741 to schedule your appointment with our team. Dr. Erese is a diversified practitioner who is certified in cox flexion and distraction therapy. Our physical therapy is performed in the office, where you can enjoy quality and gentle care in a friendly atmosphere. 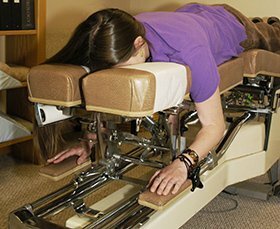 Rest assured knowing that our state-of-the-art equipment will meet all of your expectations. We also offer nutritional products to enhance your overall health. Your satisfaction is our number-one priority! Give Erese Chiropractic Center a call today to receive a FREE consultation. We look forward to seeing you soon! We are located on the corner of 11th and N. Main Street.